"The Martian" by Andy Weir is one of those titles that come out of the blue by a little known author last year and is going to be made into a motion picture with a high power talent next year. I first heard of this book from tech writer Andy Ihnatko on one of the various podcasts he hosts, and then a friend of mine read it, and then Weir was a guest on Skepticality. Everyone seemed to rave about the book, and while I am not often a fan of works of fiction, I decided to listen to the audiobook of it over the Christmas break. It clocks in at a little over 10 hours. The story revolves around an astronaut Mark Watney, a botanist and engineer, left behind on Mars about a week into their month long mission by his five other crew members when an emergency strikes, and the mission is aborted. What follows is the story of Watney surviving, NASA figures out he is still alive and the plans made to keep him alive and bring him home. The Mars part of the story is told through Wahlberg's Watney's log entries. It might sound tedious, but Weir manages to pull it off as Watney is a funny guy which keeps things moving and does not bog down. However, Weir is less successful in fleshing out the characters and the dialogue of the folks at NASA. The dialogue of the crew of the Hermes mothership is particularly clunky at times. Yet, it all manages to keep one interested, and it is a good popcorn flick of a book so to speak. My expectations going into this book were pretty high. I don't think they were quite met. Probably if I had listened to this book cold, I would have been very pleasantly surprised. Yet, having knowledge of the rave reviews beforehand I think the novel would have to be a Verne caliber book for those expectations to be met. Yet, I can see why it is so trumped by my friend and Ihnatko among others. Near the end of the book when Watney gets into yet another scrape . . . again it became a wee stale. That is a small quibble. Overall, I enjoyed this novel. I would recommend it to anyone who enjoys realistic non-fantasy science fiction. 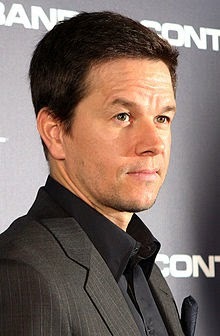 I look forward to seeing the movie with Damon in the lead that will hopefully get Wahlberg out of my head.